For those who have seen the World Housing scale-model home as part of the Gesamtkunstwerk exhibition, today marks an exciting official announcement: Westbank Projects Corp. President, Ian Gillespie, announced his company’s partnership with World Housing. 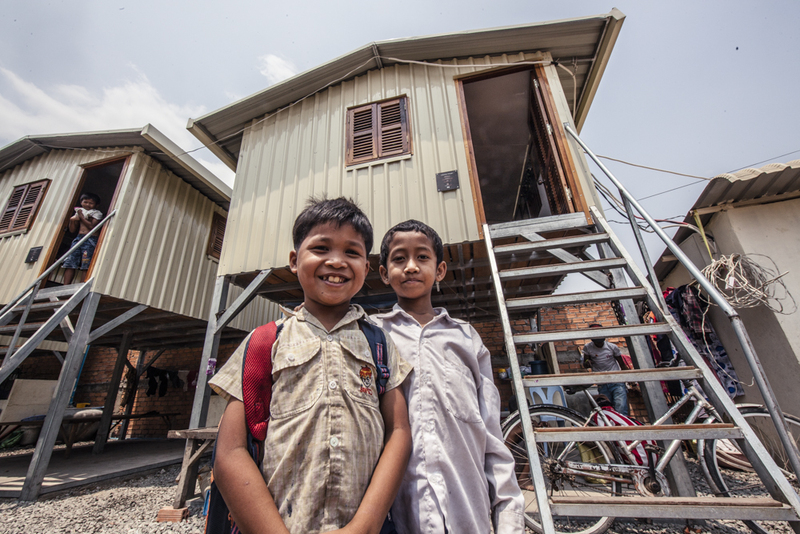 This social venture partnership model, means that for every condominium purchased at its newest development, Vancouver House, World Housing is able to build one home for an impoverished family living in a Third World landfill community; 395 homes will be gifted from purchasers of Vancouver House. This is the first Platinum Partnership – a one-for-one commitment – by a developer to World Housing. 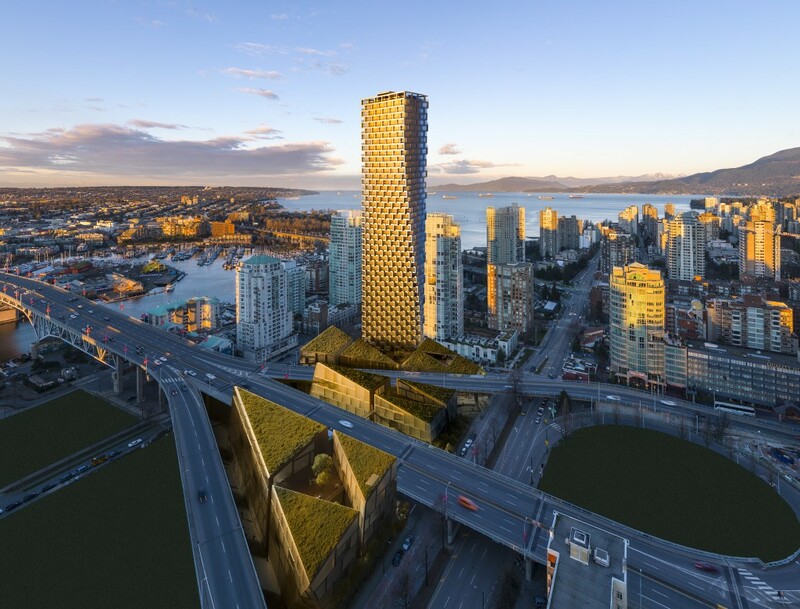 Vancouver House, an innovative world-class development designed by Copenhagen/NY-based architecture firm, Bjarke Ingels Group (BIG), is slated for completion in 2018 with a vision of rejuvenating and creating an entire Vancouver neighbourhood. 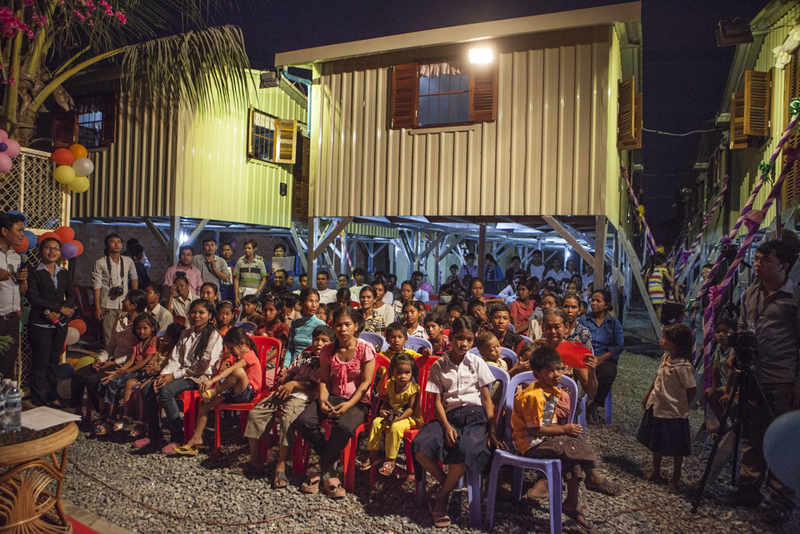 For each residential unit sold in this development, a home will be build and gifted to a family currently living in a shack in a Cambodian garbage dump community. A typical World Housing home is a 130 square foot, metal insulated structure that rests on elevated supports to protect from the elements. They are equipped with electricity and have a rainwater collection system to provide fresh water. To learn more about the partnership and about World Housing, visit the exhibition space and connect with us online at www.westbankcorp.com and www.worldhousing.ca!